Wednesday evenings, 7pm – 9pm at Panmurefield Baptist Centre. 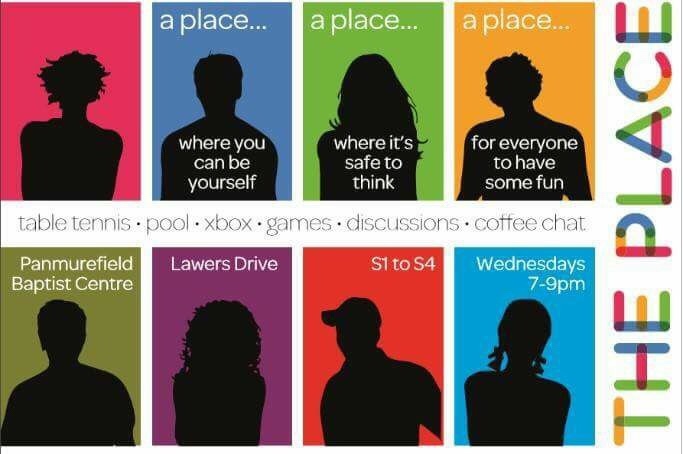 With Table tennis, pool, wii, games, discussions, coffee, chat, sports plus lots more.. This Wednesday 2 May we will be doing some cooking followed by some topical discussion around some film clips – please come along!! The Place – where you can be yourself- where it is safe to think – for everyone to have some fun. For more information please get in touch via the website or Facebook.